This issue has been truly bugging me for quite some time. Have you ever noticed the three-to-one formula on TV? Sometimes it’s even four-to-one, but basically it’s a group of men, with a token female to fill in the gender gap. The thing is, however, that these programs seek the expert advice of a panel, which (unfairly) only ever has one female in the mix. Here are the promotional photos of the big three – USA, Australia & England. It’s interesting to note that the men are free to look however they please – covered in tattoos; casual, relaxed clothing; physical differences such as very overweight…even old. (It would be a frozen day in Hell before we saw the female equivalents on our screen). And the females that do appear? Well, they’ve been preened and primed to within an inch of their lives. *I never realised men were the authority in singing. 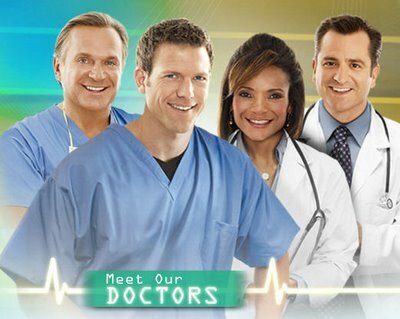 This is an American program, which gives advice on everything medical – including episodes on what women can do to improve themselves through things like plastic surgery. I came across it on a sick day, channel-surfing. *It came as a shock to learn that male doctors are the experts in medicine. 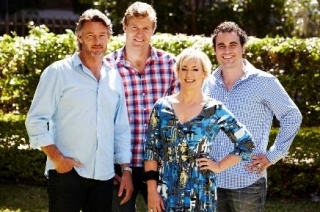 This is an Aussie show where the men get out there and report on areas such as adventure activities, cooking and DIY. Amanda Keller – an intelligent and funny woman – merely compères the show…from the couch. *Women just mustn’t be up for all the fun and travel…or capable. The curious thing about this show, is that only the first season used Sarah Wilson ((below) as the host. She was quickly given the flick and the three male chefs remained…to this day. *It is quite the morsel to digest – knowing the best mentors in the kitchen are male. Question #143: Isn’t it time we had 50/50 representation on our screens, when it comes to giving advice? More often than not – we seem to be a society that hangs on every word, when men speak with authority. …but that’s a whole other post. Hope your husband’s operation goes well. I had never noticed a numerical pattern, but it’s clearly there in those instances! I wish that there were more women depicted on television, in all their glory! One show that has bucked the trend is the Great British Bake Off, which had two female presenters and a female and male judge, although that’s rare.The depiction of women as always thin and preened is so damaging, I’ve noticed that in many programmes that I’ve watched where the men can be overweight or unconventionally attractive but all the women look the same. Exactly! I’m always looking at things through the eyes of my young daughters and what their brains might be formulating about life. As usual, women are second class in terms of their intellect, first class in a overly made up, mono-look. Yes, Kylie. Spot on. It’s so catty, isn’t it? I don’t watch it, but I don’t need to – they show it all in the ads. I hope that your husband’s op goes well too, and that he recovers quickly. The accident sounded really awful. This is an interesting post. I agree about the poor representation of women in the media. In photos they almost always want women turned to the side, and occupying as little space as possible. You might get away with a hand on the hip, but typically they are close to the body. I was watching an old Ingrid Bergman movie the other day and I noticed her nose. She had an interesting nose – it helped create the strong character in her face I think. I also noticed Princess Diana’s nose in some photos recently and I realized (again) that in the media (especially movies) women’s naturally shaped noses are largely disappearing and are being replaced by small petite ones. They all look much the same to me because very few stand out. These days I watch very little TV and very few movies because I find it all very boring and I think that has something to do with the way women are represented. After all these years I am just bored watching men and the lone female character with whom I have little in common. So I watch my old favourites. Oh, I agree. It’s all just becoming SO mundane. The same of everything, everywhere. Same poses, same noses – and for what? What changes in one’s life, exactly? I don’t watch TV anymore, either. What a snore. I’ve had this post as a draft MONTHS ago. I just kept seeing this pattern in ads. Thank you for your well wishes. You’re very sweet. I’m currently sitting in an empty hospital room waiting for his return. It’s been a loooong day. I’m trying to think of a show with an equal representation but failing. Oh! Playschool! Good on Playschool! Pity the years after watching Playschool will inform our children otherwise of the roles of men and women. Good luck to your hubby for his op. His op went well – although it took four hours and had FIVE surgeons working on him. Terrible. So true! I have realized that myself, quite a while back….what I do believe in, is that we should have the best people for the job, and yes, a balanced proportion would be welcomed, because men and women, due to their differences in styles of thinking and perceiving things, bring more diversity and maybe, a more wholesome perspective. Of course! It’s not a hard concept to embrace, is it? They’re just teaching people that the male opinion is the more valued one. Balance is all that’s needed to put things right – in everything!